Holly Stewart covers the 1990s in her extensive summary of the Theatre's history. 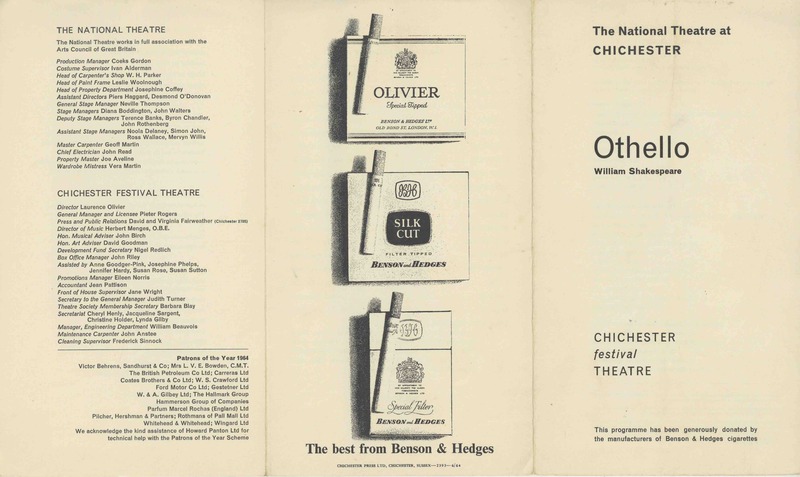 The 1990s were to be a turbulent decade for Chichester Festival Theatre, while the country as a whole was in the stern grip of a deep economic recession and theatres across the country faced closure due to the lack of audiences and reduced state support. 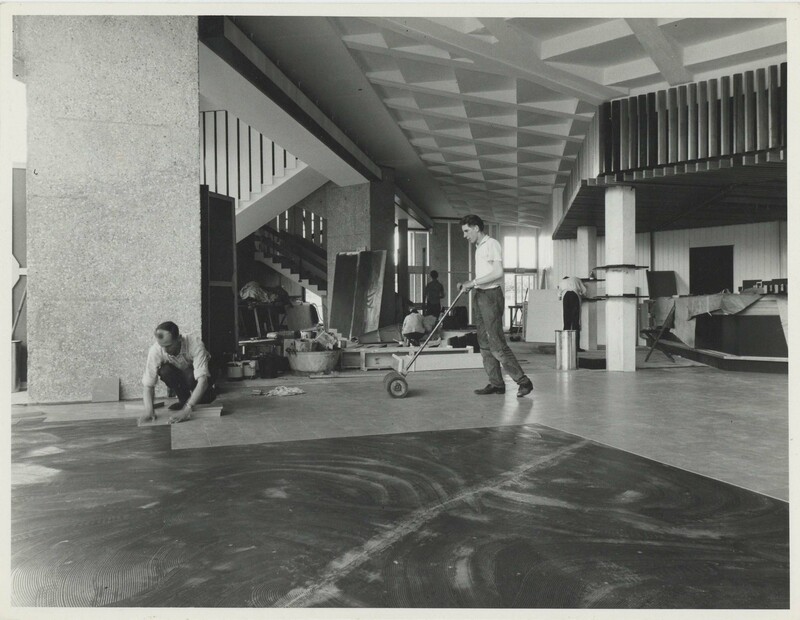 1990 saw the arrival of the new Artistic Director Michael Rudman. Rudman had a great deal of experience under his belt and his time at the Theatre looked set to be smooth and promising. However, it immediately ran into difficulty with his first production Born Again. This was a musical adaptation of Romanian playwright Eugene Ionesco’s Rhinoceros and was to be a world premiere. 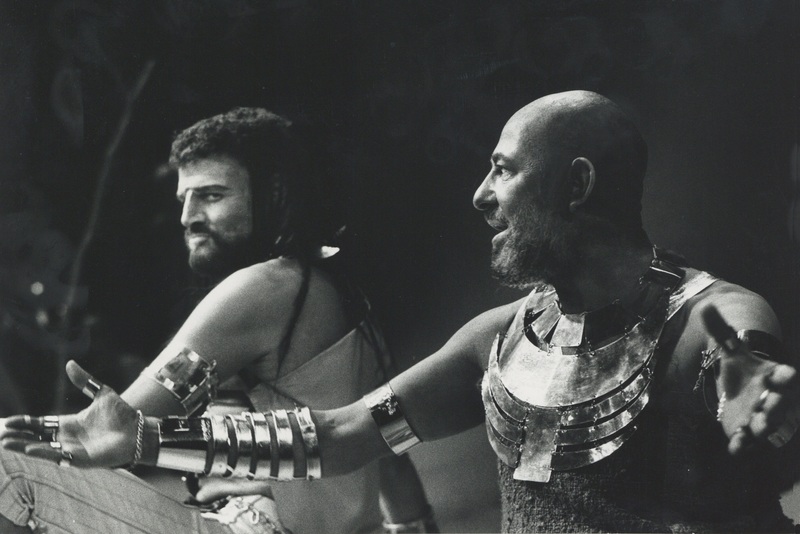 It was a collaboration between the Peter Hall Company and Chichester Festival Theatre, so the set and costumes were particularly impressive; full size rhino costumes were made for the cast. Sadly, the musical didn’t get the warm reaction with audiences one might have hoped. In 1991 Patrick Garland returned and chose Kesselrig’s Arsenic and Old Lace, Henry VIII starring former Artistic Director Keith Michell and Preserving Mr Panmure for the 1991 season. The big success of that year was Tovarich. Cast in the role of Tatiana Petrovna Romanov was prima ballerina Natalia Makarova. Actress Sarah Badel recalled in Chichester Festival Theatre at Fifty that after the end of one particular performance, “the lights went up in the auditorium […] She gave this wonderful speech about how democracy and freedom had been fought for and won in her beloved Russia and the whole audience got to its feet and cheered her to the rafters.” Despite the success of Tovarich, the Theatre’s finances were still delicately balanced. Patrick Garland saw out his final 1994 season with successful performances of The School Mistress and The Rivals starring Patricia Routledge, Timothy West and Dulcie Gray. The following year, it was announced that Duncan Weldon would be taking the role of Theatre Director and Derek Jacobi as Associate Director. This period was notable for the number of stars appearing at the Festival theatre. 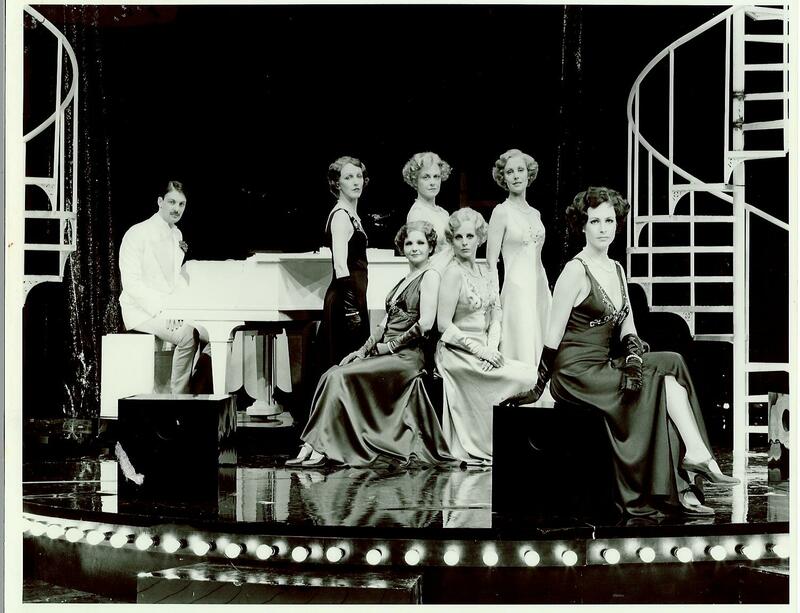 The 1995 season featured Lauren Bacall, Harold Pinter, Honor Blackman, Maggie Smith, Penelope Keith and Dinsdale Landen. A triumph for the 1996 season was the production of JB Priestley’s comedy When We Are Married. Starring Dawn French, Roger Lloyd Pack, Chris Larkin and Annette Badland (all cast members from the BBC sitcom The Vicar of Dibley), the play had a sell-out run and transferred to the Savoy Theatre in London. The Minerva Theatre also saw the third production of Uncle Vanya that had been produced in Oaklands Park. Another huge success – it transferred to the Albery Theatre where it sold out for twelve consecutive weeks. 1997 saw the most successful production the Minerva had so far produced. 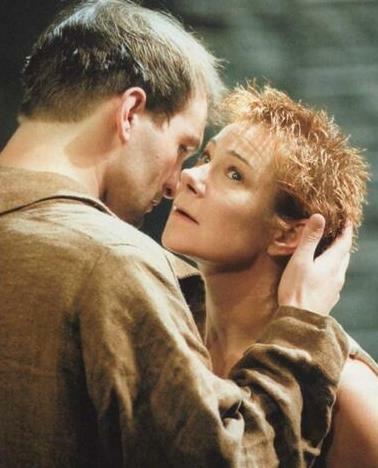 Electra, starring Zoë Wanamaker and Andrew Howard was a co-production with Donmar Warehouse. It ultimately transferred to London and then to Broadway, for which Zoë Wanamaker won a Tony Award for her outstanding performance. December 1997 brought a moment of high drama for the Festival Theatre. A meeting at Chichester District Council revealed that the Chichester Festival Theatre was in financial difficulty. 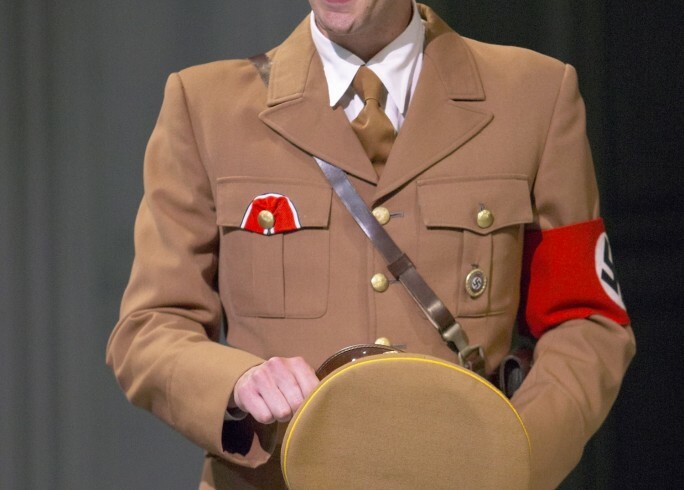 Emergency loans and donations tied the Theatre over and Chichester Festival Theatre was able to continue for another season, with new Artistic Director Andrew Welch at the reins. The 1999 season included Patricia Routledge as Lady Bracknell in a revival of Oscar Wilde’s The Importance of Being Earnest. The first performance was on the 4 August and was staged in the presence of the Queen Mother, who was celebrating her 99th birthday. Other plays of the season included The Man Who Came to Dinner and Insignificance starring Sharon Small and Martin Marquez.